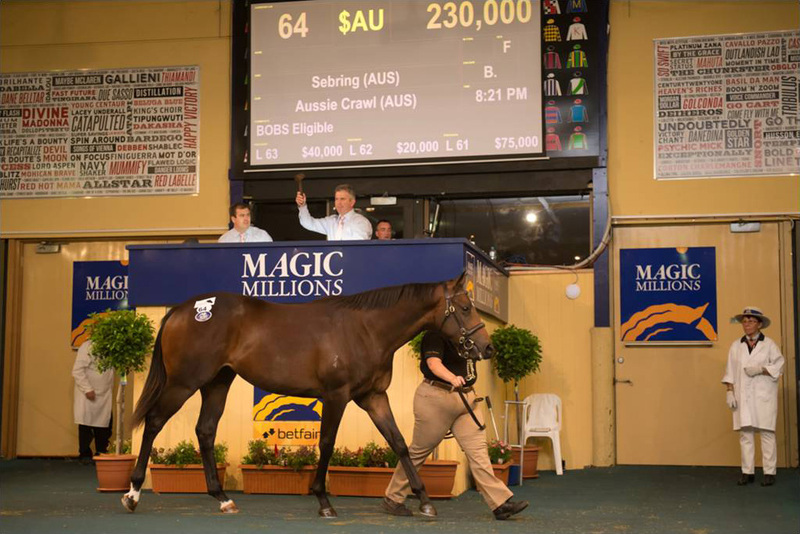 For the second year in succession Goldin Farms has been responsible for the top-selling youngster sold at the Magic Millions Adelaide Yearling Sale. Lot 64, a quality daughter of Sebring from the two-time winner Aussie Crawl (by Redoute’s Choice), fetched a final bid of $230,000 relatively early on in proceedings during the three-day auction and the figure wasn’t to be eclipsed thereafter. One of nine yearlings sold by Goldin Farms in the Book 1 Session of the auction, Lot 64 attracted some strong competition from a relatively healthy buying bench before Lot 64 Sebring x Aussie Crawl sold to Shaemus Mills Bloodstock $230,000.00-Sale Topper.jpgbeing secured by Sheamus Mills Bloodstock of Victoria. 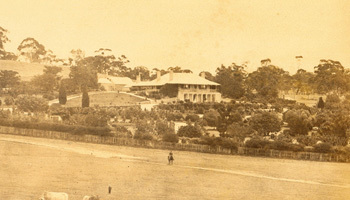 Significantly, the filly was to prove the only yearling in a 450-plus catalogue to fetch $200,000 or more. Last year’s renewal of the Magic Millions Adelaide Yearling Sale also saw Goldin Farms top the annual South Australia bloodstock event with a son of Smart Missile that sold to McEvoy Mitchell Racing for $220,000. The colt was the first-ever yearling to have been consigned by Goldin Farms for public auction. In addition to the 2016 Magic Millions Adelaide Yearling Sale top-seller, Goldin Farms also offered an I Am Invincible-Calemore colt subsequently bought by New Zealand-based Lyndhurst Farm for $155,000 — the fourth highest-price witnessed this year. 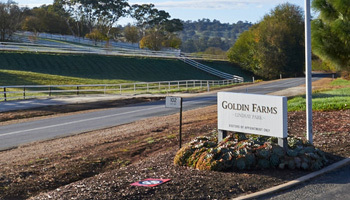 In total, the Goldin Farms draft realized an aggregate of $681,000 and an average of $75,667. 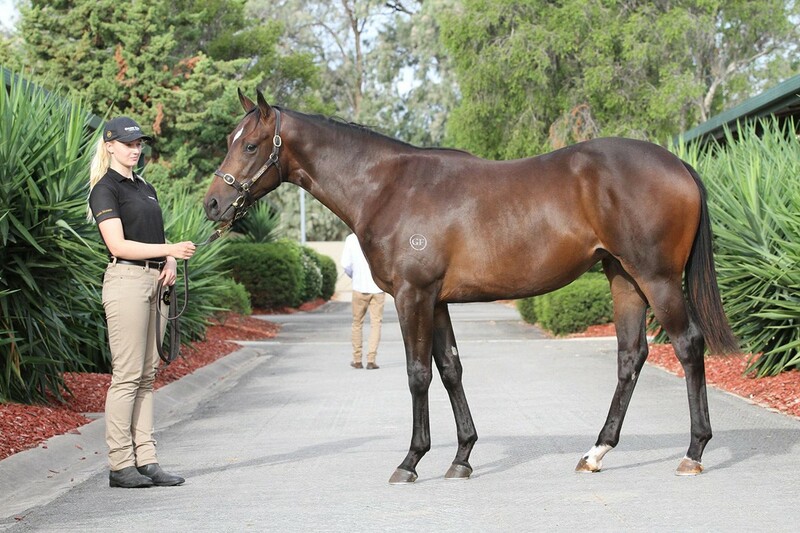 In addition to Sheamus Mills Bloodstock and Lyndhurst Farm, other prominent purchasers of the stud’s consignment included Aquanita Racing (Vic), successful trainers David Jolly, Dan O’Sullivan and Shane Nichols, and renowned bloodstock agent Mark Pilkington.